Using one natural marble tile for a backsplash kitchen tile installation is beautiful, but using three different marble elements for a tile backsplash creates a stunning backdrop. 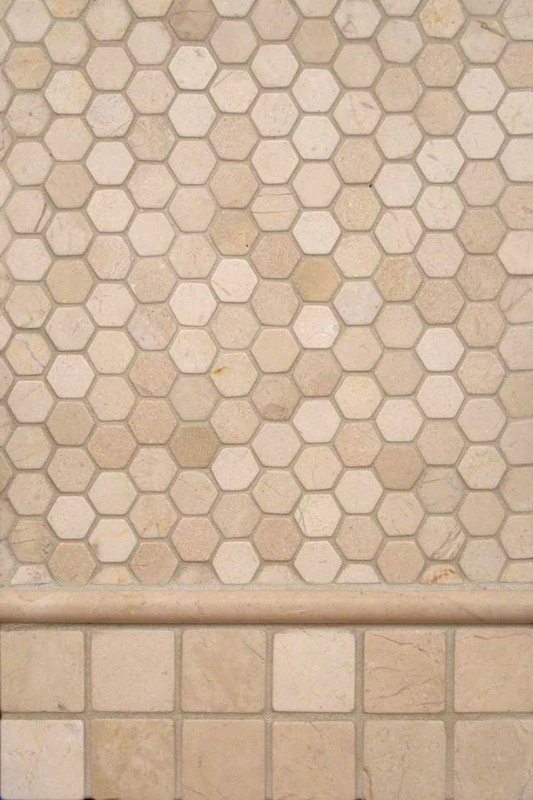 Combining our Crema Marfil Hexagon tiles with our Crema Marfil 2x2 squares is inspired, and the use of the matching Pencil Molding adds a 3D element that works to link the two tiles together. This is a perfect design for kitchens and bathrooms for styles from traditional to contemporary.